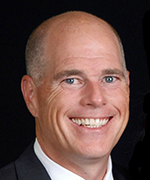 Marygrove, a Catholic Charities of St. Louis federated agency that provides therapeutic residential treatment services to children, adolescents and families, announced the appointment of Joe Bestgen as its new chief executive officer. He succeeds Sister Helen Negri, DC, who retired in April after 35 years leading the agency. Bestgen brings nearly 30 years of business management experience to the role. He most recently served as senior vice president at St. Louis-based WFF Facility Services. He earned a bachelor’s degree in business administration and marketing at University of Missouri-Columbia. “As a father of five, I appreciate how important it is for every young person to feel safe and loved in order to realize their full potential,” said Bestgen. “It’s just one of the reasons I’m so attracted to the Marygrove mission.” Bestgen and his family are parishioners at St. Alban Roe Parish in Wildwood. Father Gregory Mohrman was elected abbot of the Saint Louis Abbey Benedictine monastic community June 8. A native of St. Louis, Abbot Gregory graduated from Saint Louis Priory School in 1976 and earned a bachelor’s degree in English from the University of Pennsylvania in 1979. He received a master’s in theology from Saint John’s University in 1986 and that year he was ordained to the priesthood and began teaching at Priory. In 1992, he earned a second master’s degree in English from Middlebury College in Vermont. Throughout his service at Saint Louis Priory School, Abbot Gregory has taught English and theology. He has served as headmaster of the school twice. He served as the monastic prior, cellarer and novicemaster. He will continue to serve as headmaster for the time being. 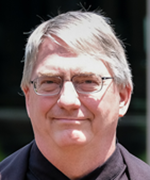 In 2017, he was named prior administrator of Portsmouth Abbey in Portsmouth, R.I. Abbot Gregory is the third abbot of Saint Louis Abbey, after Abbot Luke Rigby (1989-1995) and Abbot Thomas Frerking (1995-2018). The Society of Jesus ordained four priests in a Mass on June 9 at St. Xavier (College) Church. Penn Dawson, Jason LaLonde, David Paternostro and Michael Wegenka were ordained by Archbishop Terrence Prendergast, SJ, of the Archdiocese of Ottawa (Canada). Deacon Fernando Luis Barreto Mercado, SJ, will be ordained July 28 in San Juan, Puerto Rico. Mercy announced June 12 it will break ground on its first major additions to expand and improve the care it provides to the St. Anthony’s Medical Center community with the construction of a new on-campus cancer care center and construction of nine new Mercy Clinic primary care locations. Mercy will construct a new 70,000-square-foot, two-story, stand-alone cancer care center on the St. Anthony’s campus at an estimated cost of $54 million. The facility will include a connector to the hospital and is expected to open in the summer of 2019. Mercy Clinic’s nine new primary care locations will be spread from south St. Louis County to Jefferson County and Monroe County, Ill. The first two locations will be in Barnhart at 1700 Old State Road M and in Hillsboro at 10450 Business 21. Missouri Gov. Eric Greitens signed 77 pieces of legislation before leaving office on June 1. Among them were several bills that the Missouri Catholic Conference advocated for during the 2018 legislative session: a bill expanding postpartum care for new mothers struggling with addiction, extension of the tax credit to organizations that provided life-saving help to children at risk of neglect or abuse, raising the age of juvenile certification from 17 to 18, and a prohibition on shackling of pregnant offenders. A solemn Mass in anticipation of the Feast of St. Josemaría Escrivá will be celebrated at 11 a.m. Saturday, June 23, at St. Gerard Majella Church in Kirkwood. The Very Rev. Javier del Castillo, the Vicar of Opus Dei in the Midwest, will be the main celebrant for the Mass honoring St. Josemaría, the Spanish priest who founded Opus Dei in 1928. His feast day is Tuesday, June 28. Opus Dei has two study centers in the Archdiocese of St. Louis, both in Kirkwood. Wespine for men and Lindell for women have activities for men and women of all ages to help lay people put God first in all aspects of their lives — work and play. Opus Dei also has two priests in service to provide confessions, spiritual direction, retreats and more. Confessions will precede the Mass at 10:30 a.m. and a reception will follow. For information, visit www.lindellstudycenter.org or www.wespine.org. “Sorin: A Notre Dame Story,” will be performed at 6:42 p.m. Thursday, June 21, at the Father Ralph Seifert Theater at the Skip Viragh Center for the Arts at Chaminade College Preparatory School, 425 S Lindbergh Blvd. in Creve Coeur. The one-person play is about the dawn of the University of Notre Dame as told by the Holy Cross priest who founded it, Father Edward Sorin. It is directed by Patrick Vassel, associate director of “Hamilton” and written by Christina Telesca Gorman. “Sorin” stars Matthew Goodrich as Father Sorin. Free tickets are available at sorinplay.nd.edu. Good Shepherd Arts Center in Ferguson will host four events over the next five Fridays in preparation for the #ThisIsMyFerguson art exhibit in August. The events, which start at 7 p.m.: writers’ workshop with Stefannie Wheat, June 22; making altered books with Sister Glynis Mary McManamon, RGS, June 29; adult-coloring night to make post cards and write messages, July 13; and more adult coloring, July 20. #ThisIsMyFerguson will run Aug. 4-25 at the arts center and three additional venues — St. Peter’s United Church of Christ, the Ferguson Municipal Public Library and the Urban League’s Ferguson Community Empowerment Center. In addition, the art exhibit, “Triad Inspiration,” will continue through June 23, with “I Am A Human Being” scheduled for July 7-27. Good Shepherd is at 252 S. Florissant Road in Ferguson. For information, email info@goodshepherdarts.org. The Catholic Youth Apostolate’s Father William Scheid Players will perform the musical comedy “Guys and Dolls” at 7:30 p.m. Friday and Saturday, July 20 and 21, and 2 p.m. Sunday, July 22, at Incarnate Word Academy, 2788 Normandy Drive in Normandy. The group’s 39th season will feature several priests from the Archdiocese of St. Louis: Msgr. John Borcic, Father Terry Borgerding, Father John Brennell, Msgr. Norb Ernst and Father Bill Wigand. They’ll be joined by children, teens and adult performers from the archdiocese. Tickets are $12 in advance for reserve seating, $15 at the door. For more information or to access a ticket order form, visit www.stlouisreview.com/jFy or contact Ann Madden at annmaddenstl1@gmail.com or (314) 605-7521. St. John Vianney High School will construct of a new home for its art and band programs that is expected to be completed early in the 2018-19 school year. Vianney will renovate a building that is already part of the North Athletic Complex. “This is an exciting project for Vianney because it provides our students a great opportunity to expand their musical and artistic talents,” Vianney President Mike Loyet said. The building, which already includes a locker room, concession stand and restrooms, will turn an area previously used for storage into a pair of 2,400-square foot rooms for the art and band programs along with two restrooms. There will also be an outside patio area for students. It will be built with acoustically minded floors, walls and ceiling with two small and one large soundproof practice rooms that can split into sectionals. The new art room will more than double the space available in the current art room. It will include a large studio area, a separate room for a kiln as well as a room for pottery wheels.